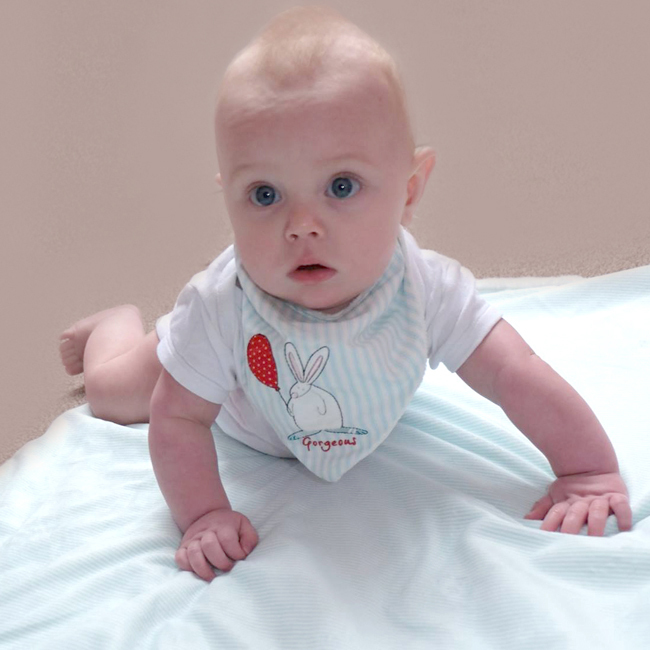 Deluxe Dribble Bib by Rufus Rabbit. Perfectly sized for posting. 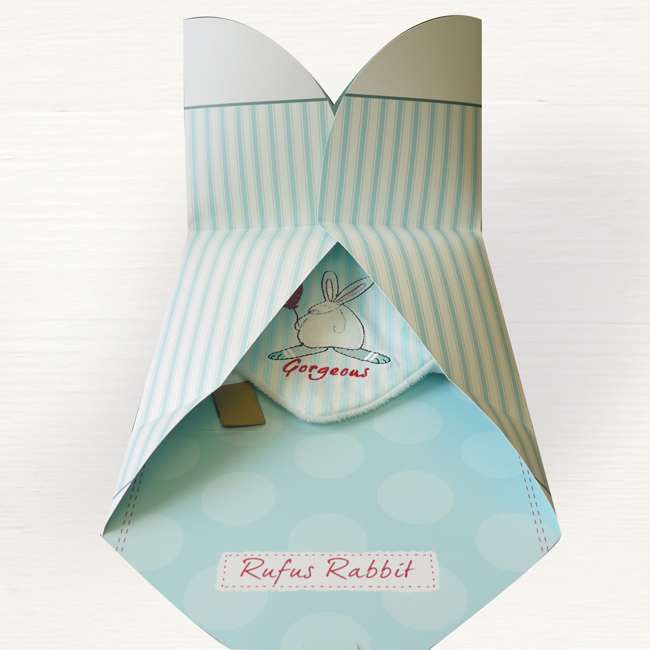 At last something bibilicious to add to the Rufus range. 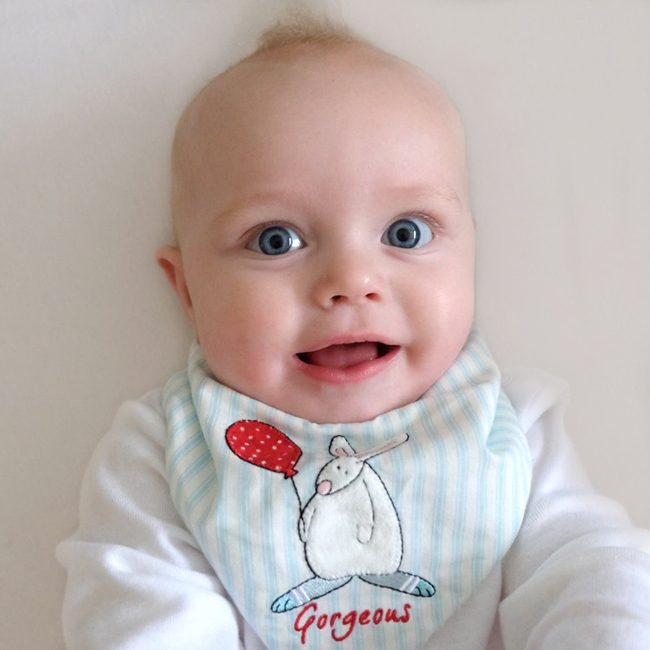 This deluxe dribble bib is kindly being modelled by the “oh so yummy” Archie. 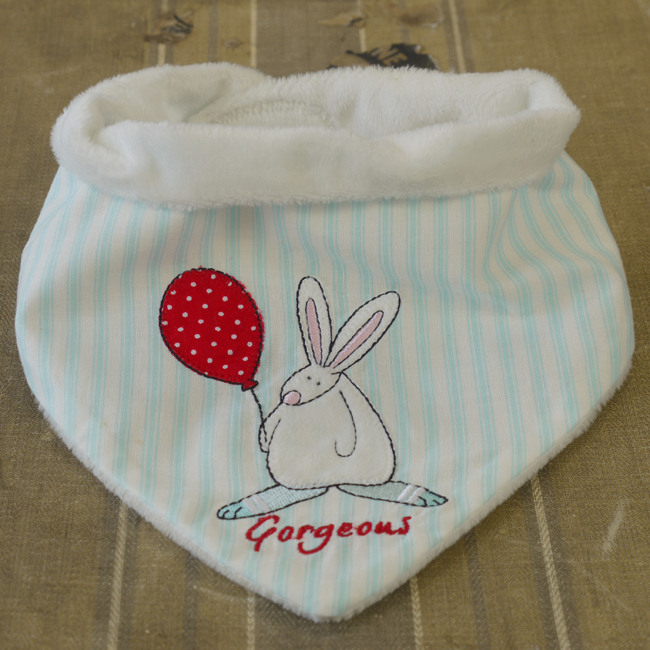 He would love to draw your attention to the appliqued Rufus on the front. 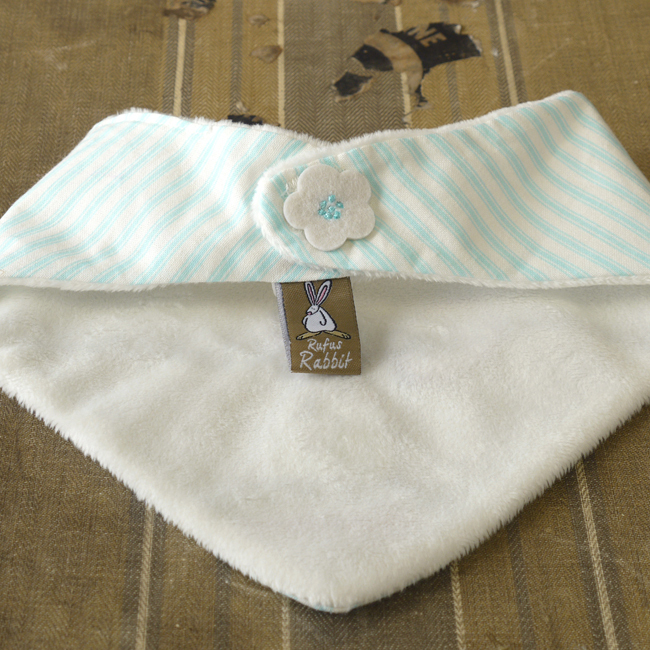 He’d also like you to note the super soft velboa fabric on the reverse and the signature felt flower detail on the quick release adjustable velcro fastening. 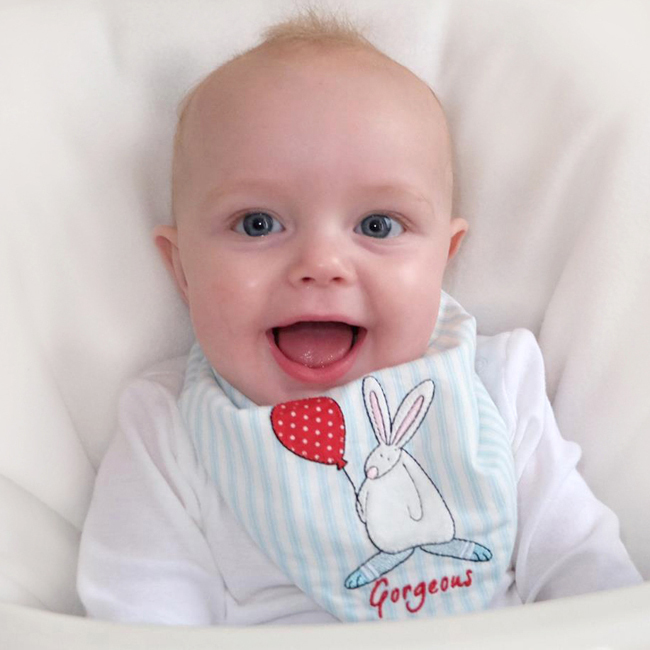 This has been made extra wide to allow the bib to function from newborn to 1 year. 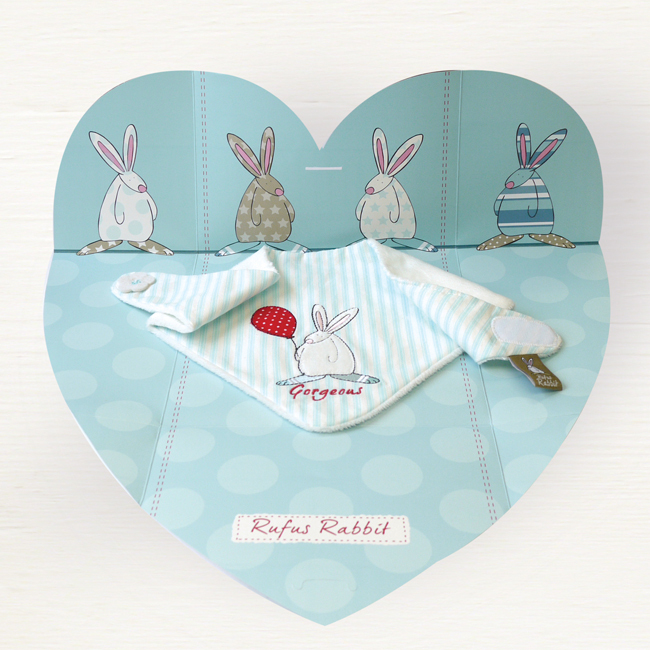 But what Archie thinks really makes this Rufus Rabbit bib extra special is the soft touch packaging it arrives in. 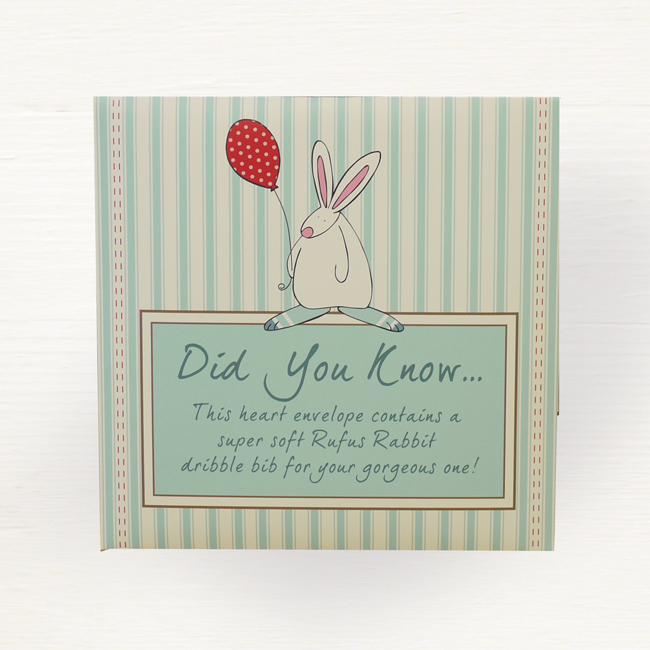 Easy to post, when opened it unfolds into a heart shape, making this a delightful gift idea for anyone wishing to celebrate the arrival of a little one. 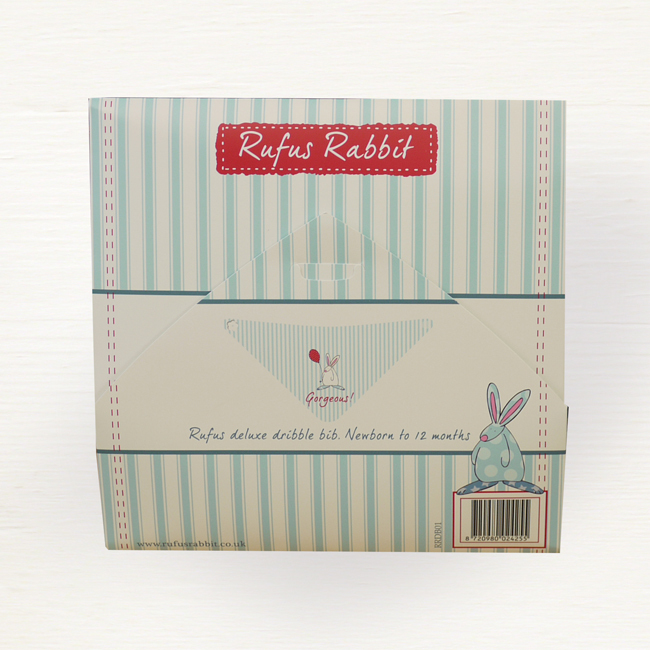 Wallet size: 18cm x 18cm when folded.